MicroLink Devices is proud to announce that Airbus Defence and Space has issued a production contract for MicroLink's epitaxial liftoff (ELO)-based multijunction solar sheets for use on the new Zephyr S platform. 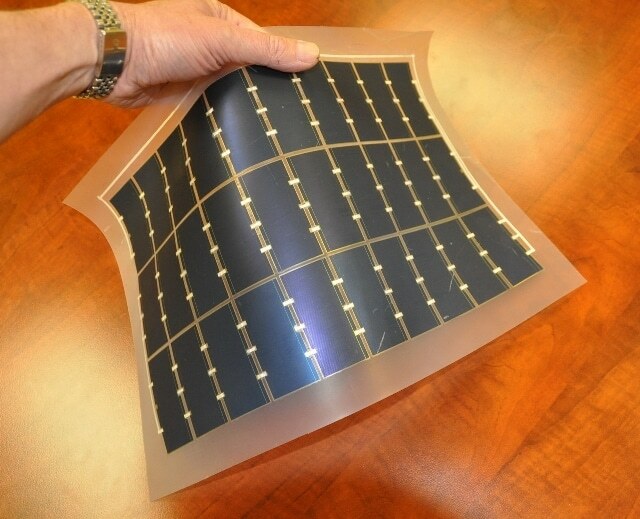 MicroLink Devices has developed a lightweight, flexible, high-efficiency solar sheet that is an enabling technology for electrically powered, area and weight constrained applications such as unmanned air vehicles, which run on renewable energy. The combination of high-efficiency and low mass enabled by ELO-based solar cells provides superior performance compared to any other currently available solar cell technology platform. MicroLink's ELO solar cells are a perfect match for the HAPS platform. The resulting solar sheets have specific powers in excess of 1,000 W/kg and areal powers greater than 250 W/m2. MicroLink's ELO technology was sponsored by numerous US agencies including NASA, DARPA, the Air Force Research Laboratory, the Office of Naval Research, NAVAIR, Army Research Office, Army REF, CERDEC, and the Department of Energy. Dr. Noren Pan, the President and CEO of MicroLink Devices, said, "We are extremely pleased to have developed a relationship with the Zephyr team four years ago and to transition our high-performance solar sheet development efforts into a production program. We are also thankful to Airbus for their purchase order and the confidence they have in MicroLink's solar sheet technology and manufacturing ability. We know of no other flexible solar sheet that offers a comparable performance in terms of power and weight and reliability under a wide temperature range." Steve Whitby, Head of HAPS Business Development stated, "Our collaboration with MicroLink Devices in the development stages and in the current production program has enabled the latest generation of Zephyr HAPS, which is a critical addition to our extensive portfolio of space and defense products. MicroLink Devices is a world leader in the epitaxial liftoff of compound semiconductors providing outstanding performance for many semiconductor devices. Combining Airbus and MicroLink Devices engineering expertise has proven to be a successful platform for our on-going success." Airbus Defence and Space is a division of Airbus Group formed by combining the business activities of Cassidian, Astrium and Airbus Military. The new division is Europe's number one defense and space enterprise, the second largest space business worldwide and among the top ten global defense enterprises. It employs more than 38,000 employees generating revenues of approximately €13 billion per year.